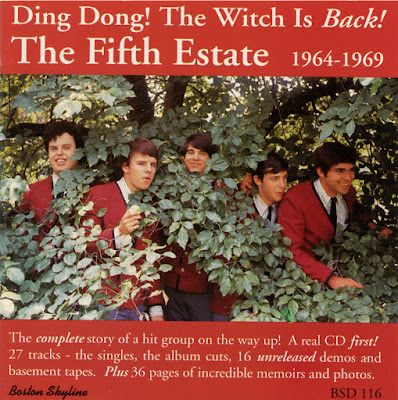 Time Tunnel The group had been working with lyricist Don Askew (he wrote songs with Wadhams that were recorded by the Brothers Four and Reparata & the Delrons), and when Askew quipped one day that any song could be made into a hit with the right studio treatment, the Fifth Estate cheerfully took him up on the challenge. They came up with a glossy but clever baroque pop arrangement of "Ding Dong! 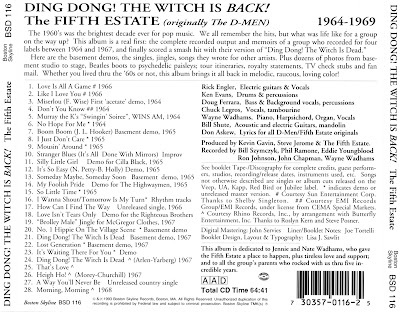 The Witch Is Dead," which first appeared in the classic 1939 film The Wizard of Oz, and after Jubilee Records heard the demo, they signed the group to a contract. 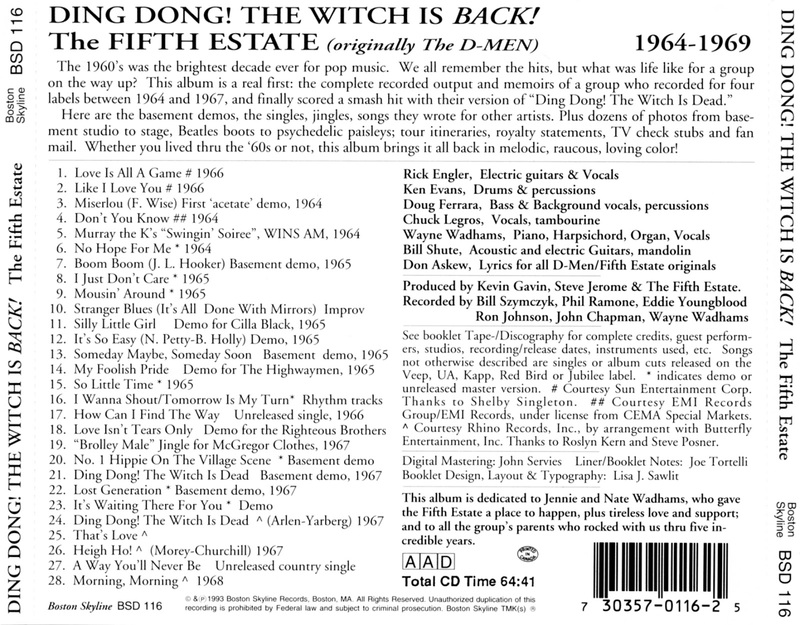 In 1967, record buyers proved Askew was right when the Fifth Estate's interpretation became a major hit, rising to number 11 on Billboard's singles charts. 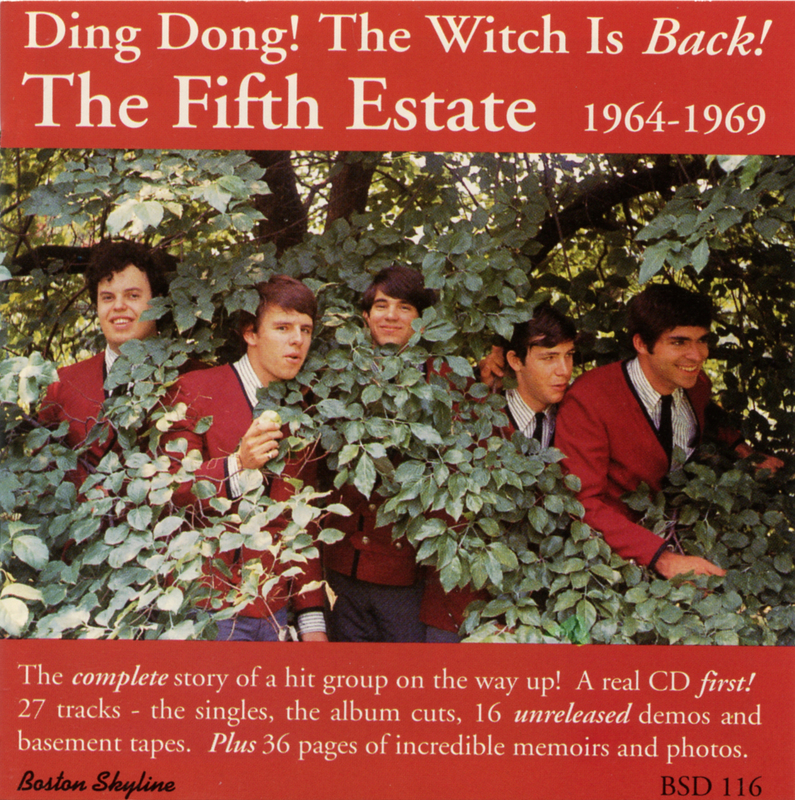 The Fifth Estate toured and recorded steadily over the next two years, but while their work was strong, "Ding Dong!" proved to be their only Top 40 hit, and the bandmembers found themselves at odds with Jubilee when the label released a pair of singles credited to the Fifth Estate that were actually the work of session musicians, with no input from the band. By the end of 1970, the Fifth Estate had broken up and Jubilee was out of business. Most of the members remained active in music, and they reunited in the 21st century, releasing two new albums, 2011's Time Tunnel and 2014's Take the Fifth; both albums were co-produced by Shel Talmy, and featured Bob Klein on keyboard and guitar, who joined the band after the death of Wayne Wadhams in 2008. A comprehensive collection of the band's music, Anthology, Vol. 1: The Witch Is Dead, was released by Fuel 2000 Records in 2012.